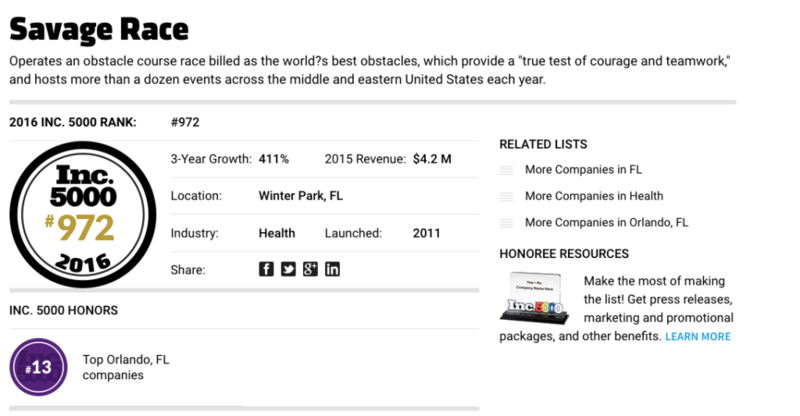 Inc. Magazine, a top business magazine, puts out an annual ranking of the fastest-growing private companies in America. For the second year in a row Savage Race, a premier obstacle race series found itself on the Inc. Magazine list with over 411% growth in the last three years. 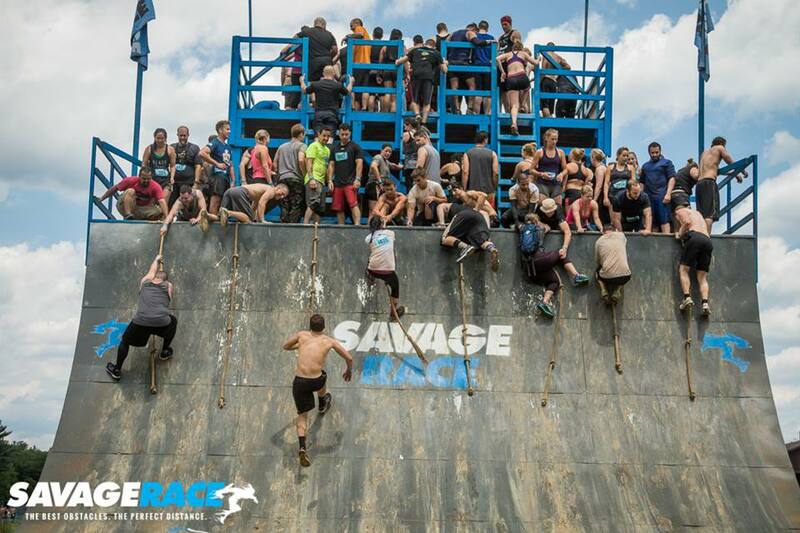 Savage Race continues to be a leader in the obstacle racing community with quality obstacles and slowly is expanding throughout the United States since the race series was founded in 2011. For the second year in a row, the company has found itself on the Inc. list which compares growth over a three-year period. The ranking is a testament to the slow sustained growth that Savage Race has achieved over the last five years. Winning awards like this is fun, and it's a nice pat on the back for the team here that works so hard. However, we don't get too serious about them. Our main focus here is to keep improving and growing our wold class race events. Focusing on world class events is exactly what the team at Savage Race continues to do. Currently, they are planning on hosting 11 races in 2017 up from the 9 held in 2016 depending on venues. Abbitt went on to tell us this morning that the company strives for perfection at all levels and will not settle for a bad venue and will wait to enter a new market in order to find the right venue. For many, Savage Race is becoming one of the must-do races in the industry, and is quickly finding itself on every serious competitor's OCR bucket list. Savage Race continues to innovate and evolve and be a leader in the OCR industry. Use discount code MRG5 for $5 off your Savage Race registration! Love this post it on obstacle maniac.